One giant leap for quantum particles. 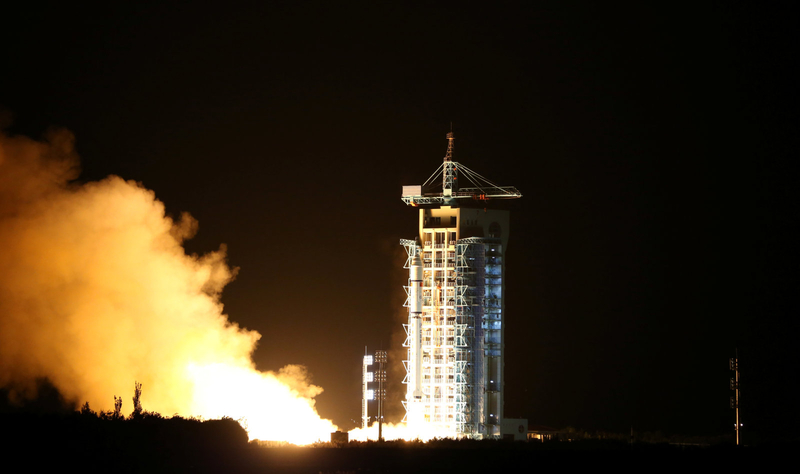 China successfully launched the Micius Quantum Space Satellite. The 500 kg satellite contains a quantum key communicator, quantum entanglement emitter, entanglement source, processing unit, and a laser communicator. All these are part of China’s mission to successfully conduct quantum communications using the satellite. If Micius is able to perform, China plans to launch 19 more satellites, creating a worldwide quantum communications network. Before that, Micius will have to prove that communications using quantum entanglement work. Its basic mission will be beaming data to ground bases in Beijing and Vienna, and transmitting quantum keys. Further, the handlers of the satellite hope to establish quantum key distribution between satellite and ground. This means setting a long range quantum channel between the two, and using that to exchange a random secret key which could be used to encrypt and decrypt messages. This is theoretically unbreakable. Any attempt to eavesdrop on the messages encrypted with the quantum keys would alter the state of the particles involved, thus revealing an eavesdropper. Chinese state media reports that the satellite will also be used to study quantum teleportation, another form of information transfer that uses both classical and quantum means.